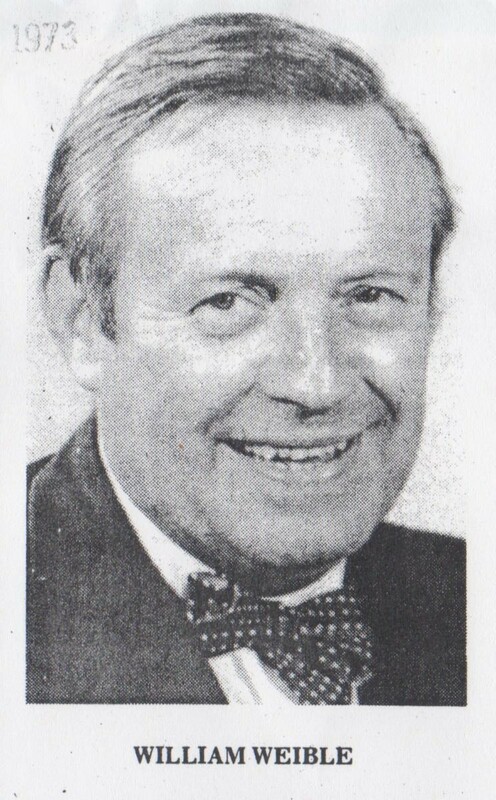 A 1973 Times-Reporter staff pic of Great Uncle Bill Weible. Following his service in World War II, Bill joined the Dover Daily Reporter in May 1948 and worked at the Times-Reporter for several decades, managing various advertising departments, among other duties. 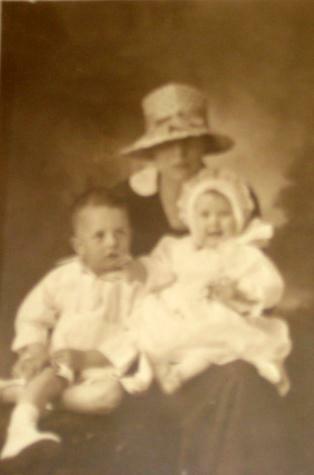 I was saddened to hear of the passing of Great Aunt Ann Weible on January 21, a day before her 89th birthday. 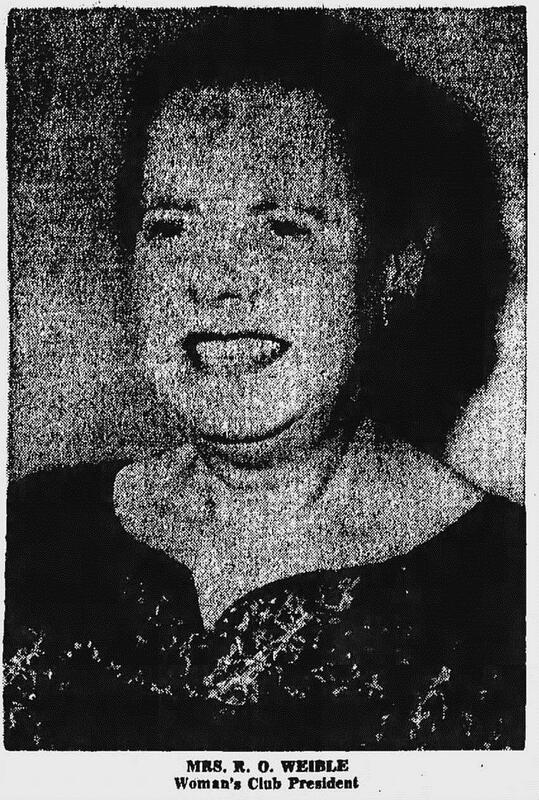 I’m writing this post a day after her burial in Maple Grove Cemetery, back home in Dover, Ohio, and I find myself longing to be there, with extended family, aunts and uncles and my mom’s cousins, whose names I know well, but company I haven’t enjoyed for awhile. After nearly 14 years apart, I like to think Ann is again with her husband, Great Uncle Bill Weible, who died during a July in 2000 that also saw the passing of my grandma Erma Foutz Miller. Knowing and remembering Uncle Bill, and the stories I’ve been told, I imagine Ann and Bill and Uncle Arry and Grandma and Grandpa Ley are enjoying a blissful — and knowing them, likely entertaining — reunion. We’re left with our memories until we all see what there is to discover in life’s mysterious, inevitable next chapter. 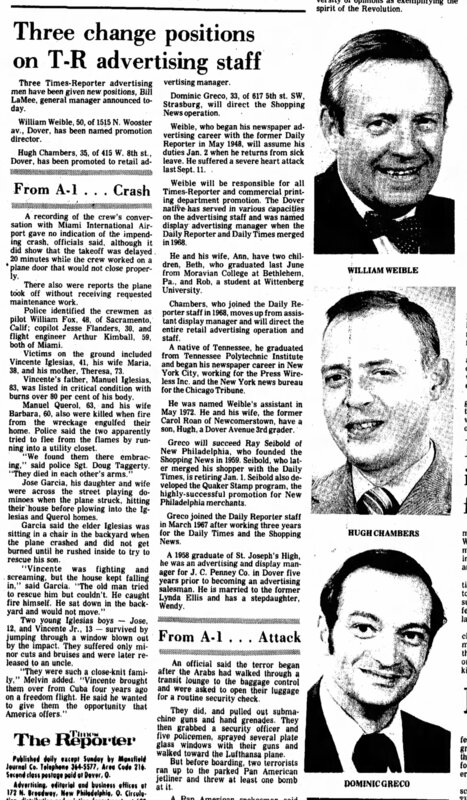 From 1973, then, a bit of news in the newspaper career of Great Uncle Bill, and a glimpse back then of the Dover, Ohio, Weibles. Uncle Bill worked at the Dover Daily Reporter for many years after returning from World War II service and college. He was on hand for the merger of the New Philadelphia Times and Dover Daily Reporter in 1968, and retained his post as advertising manager, as reported by the Mansfield News Journal. Three Times-Reporter advertising men have been given new positions…. William Weible, 50, 1515 N. Wooster av., Dover, has been named promotion director. Weible, who began his newspaper advertising career with the former Daily Reporter in May 1948, will assume his duties Jan. 2 when he returns from sick leave. He suffered a severe heart attack last Sept. 11. Weible will be responsible for all Times-Reporter and commercial printing department promotion. The Dover native has served in various capacities on the advertising staff and was named display advertising manager when the Daily Reporter and Daily Times merged in 1968. He and his wife, Ann, have two children, Beth, who graduated last June from Moravian College at Bethlehem, Pa., and Rob, a student at Wittenberg University. Read the full article by clicking the thumbnail below. 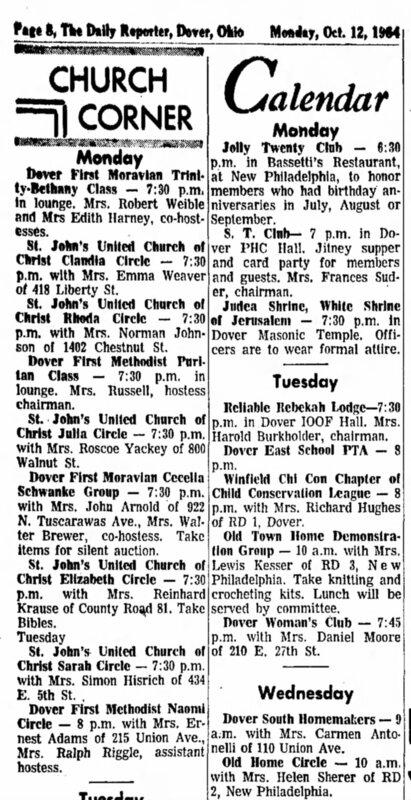 This blog series explores the lives of Weible ancestors as revealed in their obituaries. Much of this information was gathered during a March 2011 research trip to Tuscarawas and Harrison counties in Ohio. A scan of the obituary is available at the bottom of this post. Franklin Eli Weible, aged 71 years, one of Dover’s best-known citizens and for many years one of its most active businessmen, died suddenly at 3:10 o’clock on Monday afternoon in his hardware store in W. Third Street. Mr Weible has been ailing at times within the last year but recently was much improved. Monday afternoon he was apparently in the best of health. Seated in a chair he had been chatting with friends. After his friends left he attempted to rise and fell dying. He was dead almost instantly. George Alleshouse, a clerk, and his son, Morris, were the only others in the store at the time. 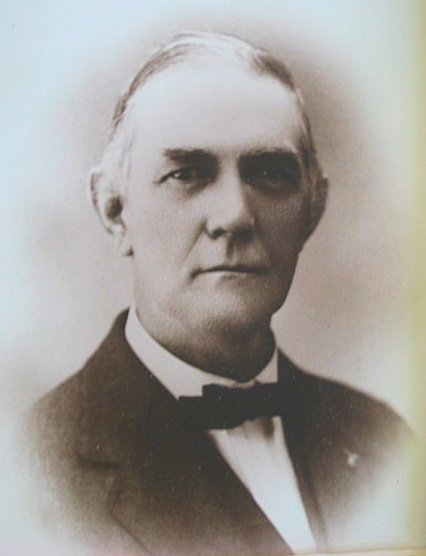 Mr. Weible was born in Dover, December 10, 1845, a son of the late Fred Weible. His forefathers came to Philadelphia, Pa. from Germany (actually, Switzerland — Colt) in the early part of the seventeenth (actually, 18th — Colt) century. Reared in Dover, Mr. Weible with three brothers went to Henry County about the close of the Civil War, where they engaged in the lumber business with mills in Defiance and Henry counties. Here he met and married, in February 1869, Esther Goddard, who died less than a year ago (actually, more than two years prior — she died in January 1915 — Colt). In 1870 Mr. Weible returned to Dover and lived here continuously ever since, except from 1892 to 1895, when he resided in Alexandria, Va. In 1870 Mr. Weible built the block which still stands in Factory Street and started the Eureka Cash Store, a grocery business still being conducted by C.E. Kreiter. He also associated in the lumber business with the Wentz interests and with H.W. Enck. 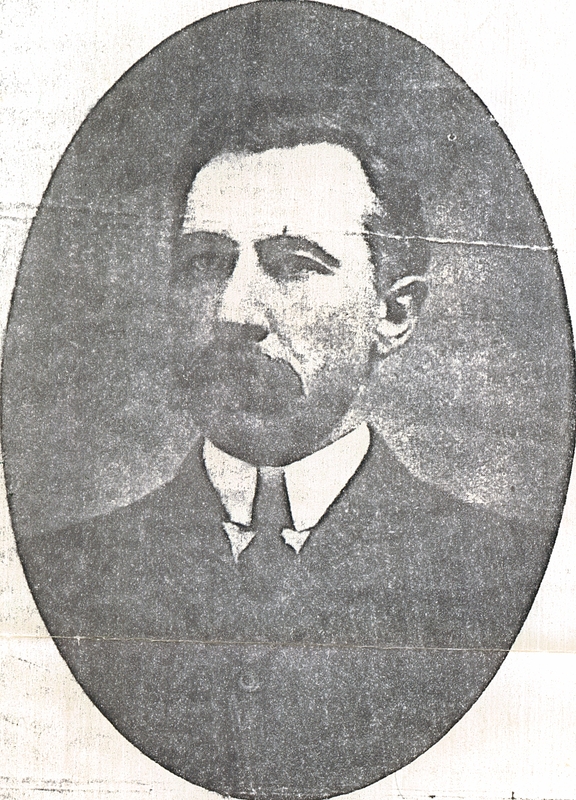 From 1887 to 1895 he was engaged in the furniture manufacturing business as secretary of the Deitz-Bissman-Kurtz Co. of Dover and afterwards as secretary treasurer of the Deis Mfg. Co. at Alexandria, Va.
Later he became manager and treasurer of the Sugarcreek Salt Co., operating wells immediately west of Dover. 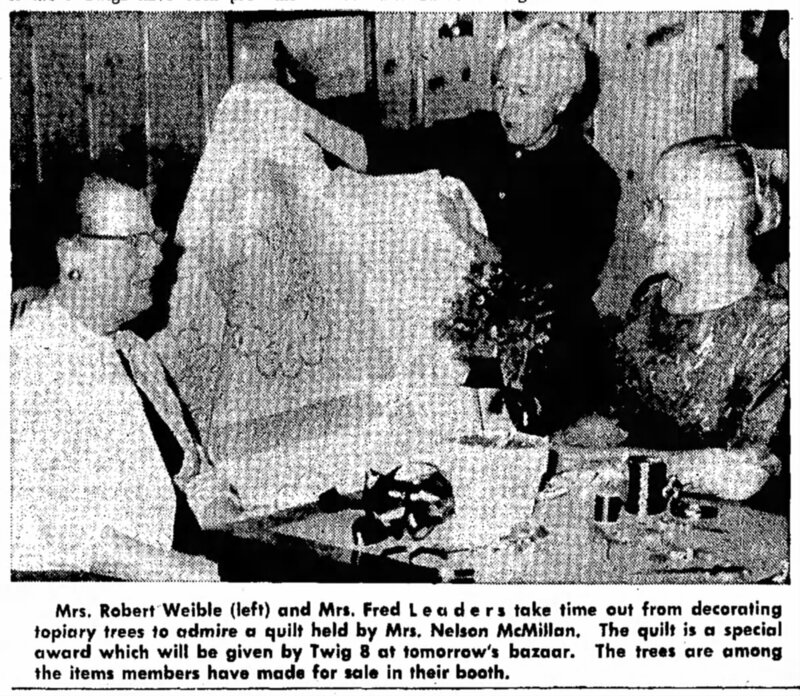 Following that he again was connected in various capacities in furniture business until 1912 when he and a son, the late Otheo Weible, established the Weible Hardware Co.
Mr. Weible was a past exalted ruler of the Dover Lodge of Elks and present chaplain. Although not a member of any church he led an exemplary Christian life. Mr. Weible was well known as an ardent baseball fan and was an enthusiastic supporter of local sports of all kinds. He never missed a high school game of any kind if it was at all possible to attend and even last fall braved all kinds of weather to see football games. Only recently the Dover Athletic Association voted him an honorary member and presented him with a life pass which he used for the first time at the basketball game last Saturday night. Last summer Mr. Weible made a trip to Cleveland with a party of baseball fans to witness a big league game. He was the oldest in the party and stood the strenuous trip, which was made in one day, better than most of the young men. Mr. Weible is survived by one daughter, Mrs. Ella Weible Lambert, of Alexandria, Va., and by three sons, Albert L., Frank A., and Robert O., all of Dover. He also leaves the following brothers and sisters: Joseph B. Weible, of Lima; Lydia Weible Schear, of Westerville; Simon Weible, of Defiance; A.J. Weible, of Fayette, Miss. ; and Mrs. Elizabeth Intermill of Dover. The late David Wible, father of city treasurer E.F. Wible, was a brother. Funeral services will be held on Thursday afternoon at 2 o’clock from the home. The services will be in charge of the Dover Lodge of Elks and Rev. R.H. Brennecke of the Moravian Church. Burial will be at Maple Grove. What else was going on in the world on Feb. 5, 1917? The Mexican constitution was adopted on that very day. A week earlier, the first jazz record was recorded, and Germany warned the U.S. that U-boats would sink any merchant vessel they came across. On Feb. 3, Germany made good on its threat, sinking the U.S. liner Housatonic. Diplomatic relations were severed, and the U.S. moved closer to entry in World War I. 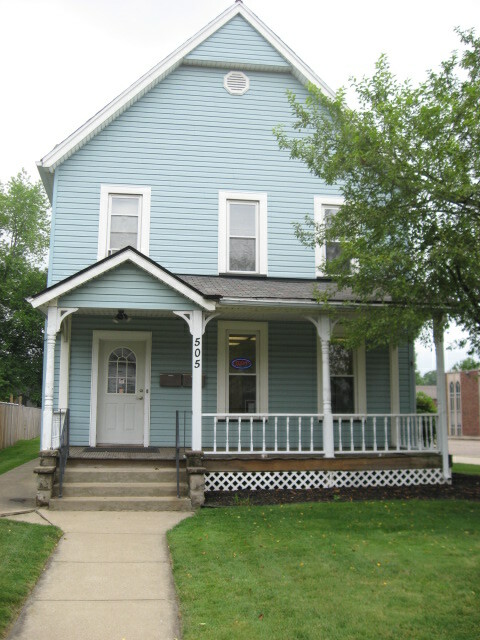 The former home of Franklin E. and Esther B. Weible, at 505 N. Wooster Ave. in Dover, as it appears in July 2011 (100 years later). 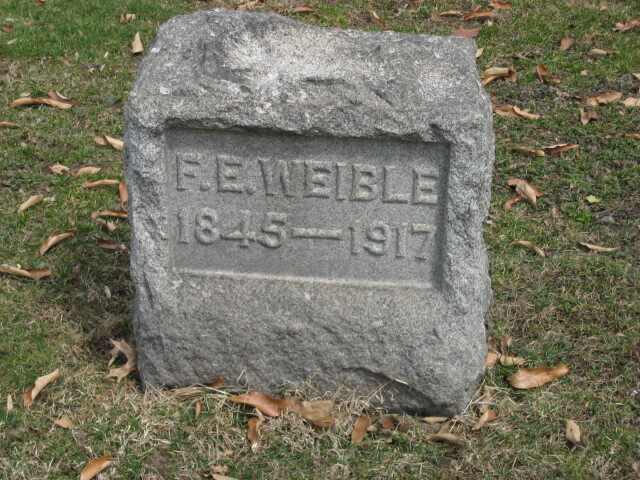 The final resting place of Colt's great-great grandfather, Franklin Eli Weible, in Maple Grove Cemetery in Dover. 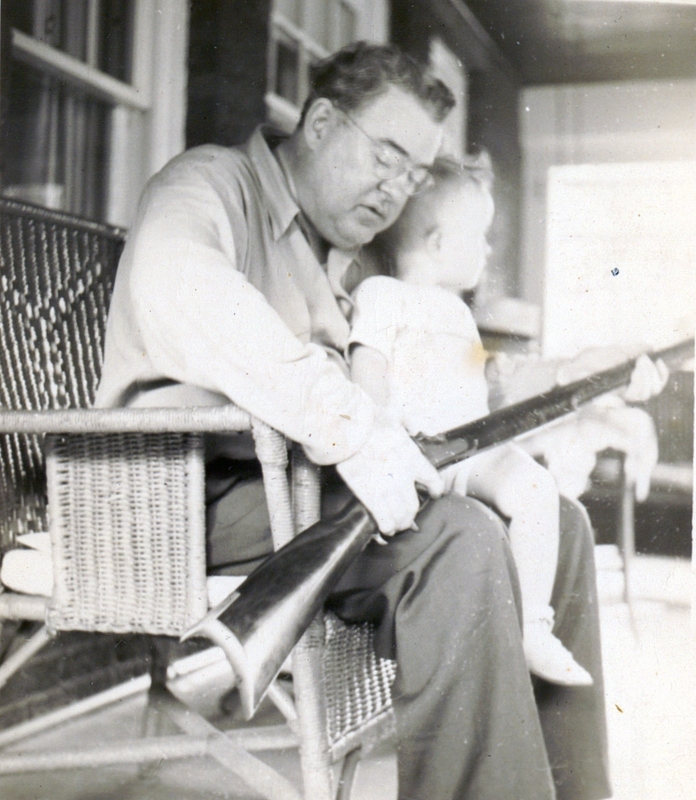 Robert Ohio Weible and grandson Robert Earl Ley III, about 1946 on the porch of R.O.’s home on Wooster Avenue in Dover. R.O. was an avid gun collector, which gave his oldest son, Robert Colt, and great-grandson, Frederick Colt (me) our names. Robert O. Weible, 55, of 1115 N. Wooster Ave., widely known former furniture salesman and active in Republican political circles and in fraternal organizations, died at 10:30 last night at Union Hospital. Stricken with a cerebral hemorrhage while seated on the porch of his home Saturday afternoon, he was taken to the hospital shortly after but never rallied. His condition worsened yesterday afternoon. Mr. Weible was born in Dover on May 30, 1892… a son of the late Frank E. and Esther Goddard Weible. 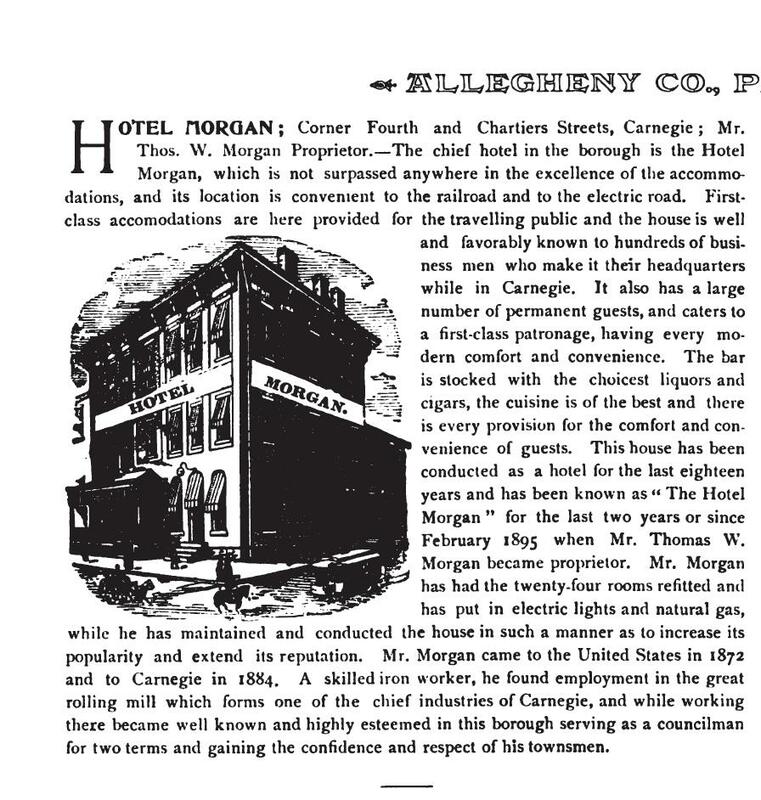 After attending Dover schools he was traveling salesman for many years for the Jamestown Lounge Co., covering Ohio and parts of West Virginia and Pennsylvania. He was assistant purchasing agent for the state of Ohio during the administration of Gov. John W. Bricker and during the war period was executive secretary of the salvage division of the War Production Board for Ohio. 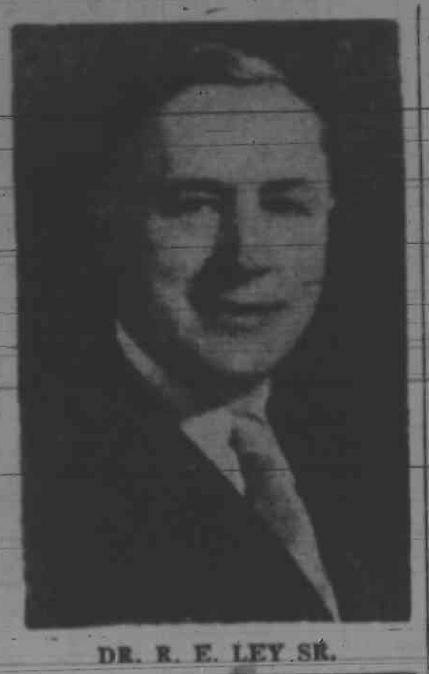 He was Republican executive committee chairman for Tuscarawas County in 1938-39 and was president of the Dover Republican Club. He was a past exalted ruler of the Dover lodge of Elks and a charter member of Zeta chapter of the Alpha Pi. He was a 32nd Degree Mason and a member of the following Masonic bodies: Tuscawaras Lodge No. 59, F & A.M. of Dover; Royal Arch Masons of Massillon and Council at Westerville; the Scottish Rites Bodies, Valley of Cantor and Alladia Shrine of Columbus. He was also a member of the Moravian Church and Sons of the American Revolution. He was widely known as a gun collector. 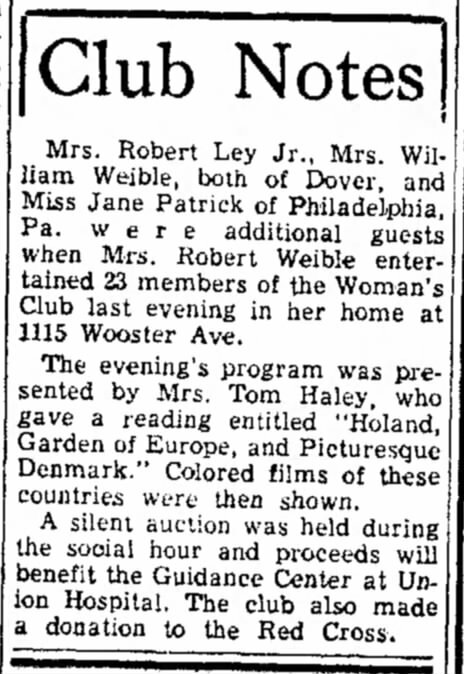 Mr. Weible leaves his widow, Mrs. Beatrice Morgan Weible and a daughter, Mrs. Robert E. Ley Jr. of Dover; two sons: Lt. Robert C. Weible of the Navy, now in the Pacific, and William A., student at Ohio State University; and two grandchildren, Robert Ley III and Sally Ann Ley. He also leaves a brother, Frank A. Weible of Dover, and a sister, Mrs. Urban S. Lambert of Alexandria, Va. Two brothers, Albert and Otheo Weible, and one sister, Clara Adell Weible, preceded him in death. 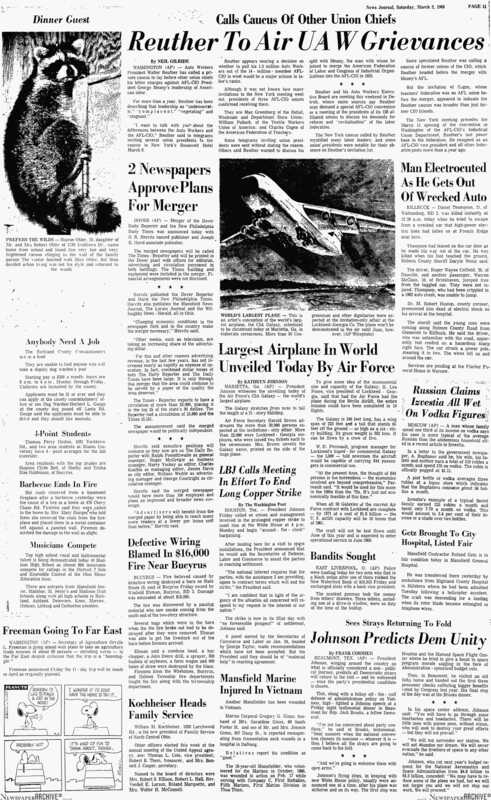 The body is at the Toland Funeral Home, awaiting funeral arrangements dependent on location of the son, Lt. Robert C., who is based in Hawaii but who is at present is on a flying mission from Saipan to San Diego, Calif.
What else was going on in the world on Wednesday, July 16, 1947? Actor and football star Orenthal James (O.J.) Simpson is born. Earlier that month, the Cleveland Indians sign Larry Doby, first black player in the American League, and on July 8, reports are broadcast that a UFO has crash-landed in Roswell, N.M.
R.O. 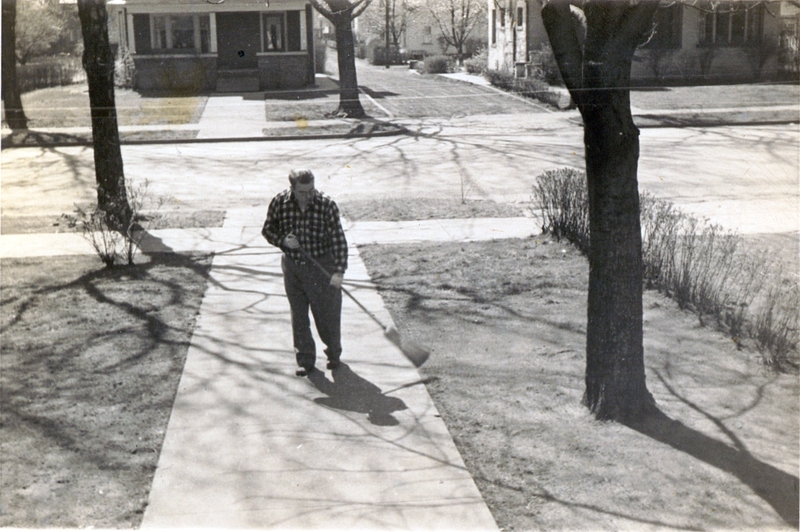 Weible sweeps the walk of his home at 1115 N. Wooster Ave. in Dover, Ohio about a year before his death 1947. 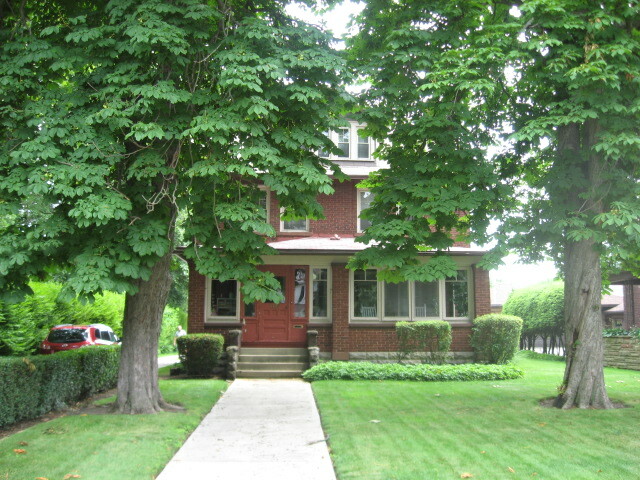 The former Weible home as it appeared in July 2011, 64 years after R.O.’s death, and 37 years after the death of his wife, Beatrice Ethel Morgan Weible. 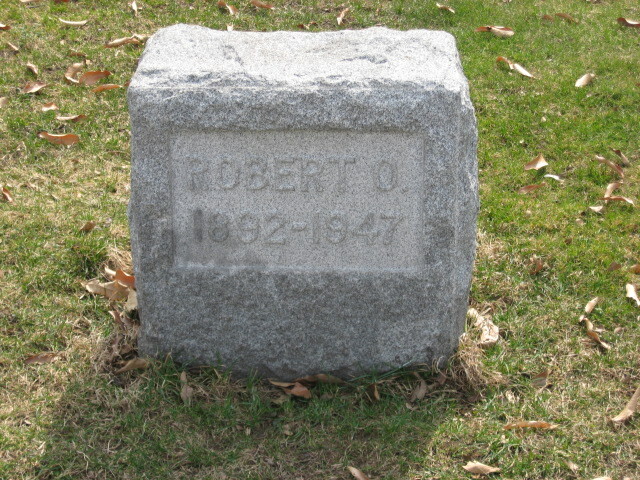 R.O.’s grave in Maple Grove Cemetery, Dover, Ohio. Circa 1978. This hung in my grandparents' kitchen for a long time. 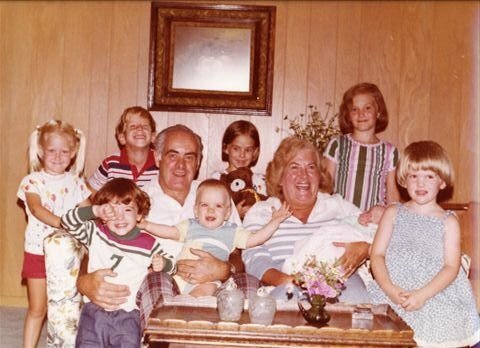 Front, from left, Colt, grandpa Robert Jr., Dan, grandma Sue, Jennifer, Liz. Back: Nikki, David, Andrea, Doreen. It’s been awhile since I began a series of posts exploring the lives of our ancestors, as revealed in their obituaries. And a good week (or longer) since I published a catch-up post, explaining the absence of activity in this space. Intending, of course, to carry on immediately from there. So, let’s just dispense with all otherwise flashy intros and get down to business. Because I still have a lot of goodies to share from a March trip home to Ohio. And while life pauses a moment to let me set the fingers twirling again and the lines of type doing their fruitful little march, we should only pause a moment to take stock. Our agenda? Obits. Lives lived. Places traveled. Families fruitful and multiplying. First stop were the Leys of Port Washington and, later, New Philadelphia and Dover, Ohio. Second down the trolley path were the Johnsons, my Grandmother Foutz’s family, to be followed by visits with the Foutzes and Weibles. Before moving on, I thought I’d gather up the fabric a bit and share some of what stood out to me about the family members we remembered on the Ley side. At least for the men directly in the Ley line. And often while at work! 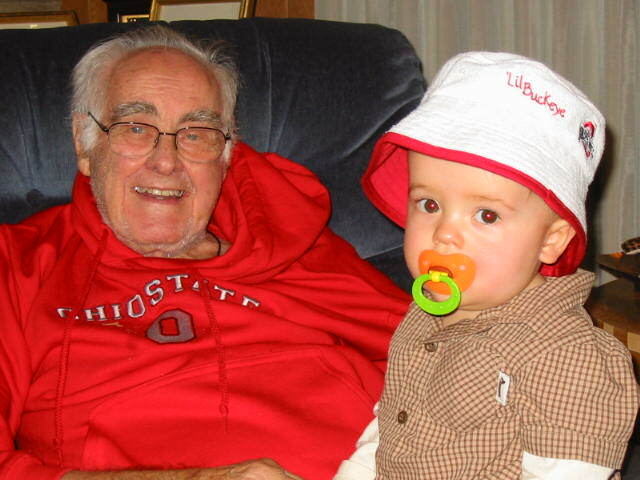 My great-grandfather, Robert Earl Ley Sr., died of a heart attack at 65 while treating a patient in the dental practice he shared with my grandpa. 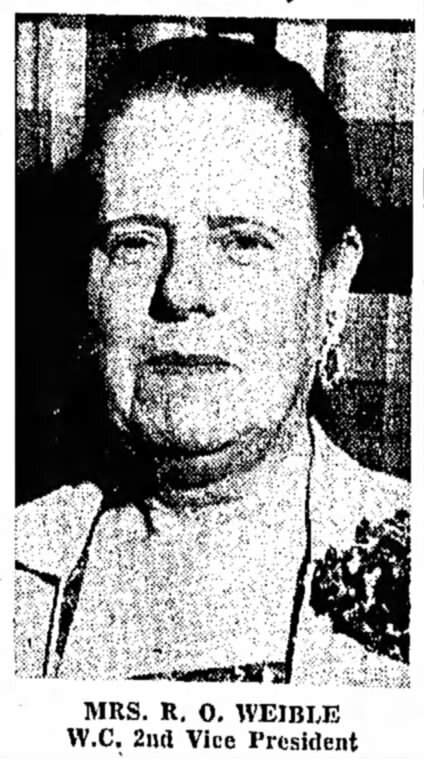 Just as my grandfather witnessed his father’s death, my third great aunt Minnie was on hand as my great-great-great grandfather Augustus Ley dropped dead of a cerebral hemorrhage in his Port Washington general store. He licked a stamp and fell dead to the floor before he could affix it to the envelope, according to the newspaper account. He was 61. By contrast, our first Ley ancestor in America, Charles Ley (or Karl Gottleib Ley) lived to a hale and hearty 89 — same age as my grandpa Bob when he passed away in 2009 (some 112 years later). Guess the genes had a different story to tell by then. For the better part of six straight generations in America, Ley males were their own bosses in my family. And many of the “off-shoots” in my line can boast the same. 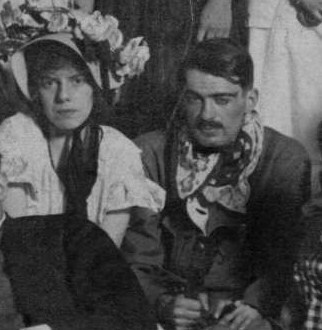 Karl Ley was a saddler. Augustus Ley, a dry goods store owner. Charles Ley may have served at the behest of the county as treasurer, and for a firm as traveling salesman (still in the dry goods business), but he seemed every bit his own man. 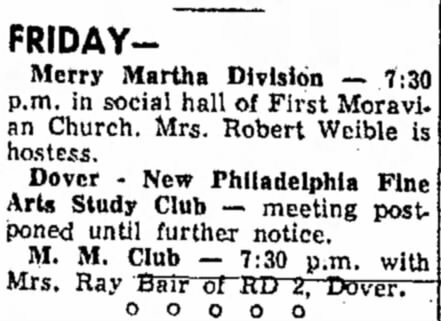 Both my great-grandfather Robert Ley and my grandfather Robert Jr. maintained their own dental practice in Dover. And my uncle, Robert III, only just this year retired from his own family practice as M.D. As far as the dry goods biz went, it seems the first Leys in America opened stores across the country as they spread westward. Doris Ley Hill’s book details the business travelings of the children and descendants of Karl Gottleib Ley and his brother Frederick Christian Ley. Can’t wait to get my hands on it! The way I’d usually put it to my (Scandinavian) Lutheran in-laws whenever I was first getting introduced around is: the Moravian Church, like the Lutheran Church, is an early Protestant demonination, and it falls pretty close to the Catholic tree. When I was in more of a feisty mood, I’d point out that the Unitas Fratrum actually started before Luther nailed his theses to the church door… only we kind of died out a bit when the Roman Catholics burnt our leaders at the stake facing west (toward Constantinople). The brethren recovered, of course, and in the 1700s their missionaries were the first to settle Ohio, in Schoenbrunn and Gnadenhutten, just up the road a piece from where our Leys called home. But my grandmother’s family — the Weibles — always had such a longterm claim on membership it seemed that the Leys must have followed them into that branch of the faith. Go back to our fifth great and sixth great grandfathers Ley and there you have two ministers who led the same Lutheran church in tiny Pfalz, Bavaria in the 1700s. Whether Great-great-great-great Grandpa Karl Gottleib Ley carried this faith with him to America in the early 1800s is not known. But by the time we get to Great-great Grandpa Charles, his wife, Minnie Hammersley is a lifelong Moravian (of the church in Port Washington), and his funeral services are held at the First Moravian Church in Dover (the very same congregation of the Weibles his grandson, Robert Jr. would marry into, and where I would be confirmed). Next up, Robert Ley Sr. is a member of Grace Lutheran Church in Dover, as were my great-great grandmother and grandparents Foutz (the Foutzes were apparently Lutheran from the time they settled in Ohio, and probably before). And from Bob Jr. on down, we’ve been Moravian. Well, except for now I’m married to a Lutheran and that’s the church of my sons. Seems to make sense, though, right? The Weibles also get props in my family for being first in the county, settling south of New Philadelphia in Crooked Run about 1812. My great-great-great grandmother Susan (Schrock) Weible’s family were among the first five settlers there; my great-great-great-great grandfather Jakob Weible and his family followed about 1817. The Leys didn’t arrive on the scene until the early 1830s, when fourth great grandfather Karl Gottleib Ley emigrated from Bavaria and established his saddlery in Shanesville. From there, they wound through Port Washington, New Philadelphia and eventually Dover, becoming prominent citizens in the professions noted above. So, the score, either way you tally it, is impressive. Seven generations of Weibles called Tuscarawas County home for nearly 200 years. Seven generations of Leys did the same forbetter than 180. Of course, the current generation wised up and moved on. (Sorry, Mom.) But not a bad run, in one place. By my research, the Ley surname hasn’t changed spelling — not from our misty early days in the Netherlands, through our centuries in Germany, and not since our first ancestors came to America. Whereas, with the Weibles we get Waiblel and Wible; and with the Foutzes there are Foutses and Pfoutses (and perhaps even the dreaded Pfauts). But it’s interesting to note how given names have been handed down, through the generations. Our oldest named Ley ancestors are the ministers John Frederick (6th great) and Charles Frederick (5th great). So, maybe it’s more than coincidental that although I get my first name, Frederick, from my Foutz father, Frederick Charles, the name honors the Leys as well. Minnie is another popular name for women in the Ley line. 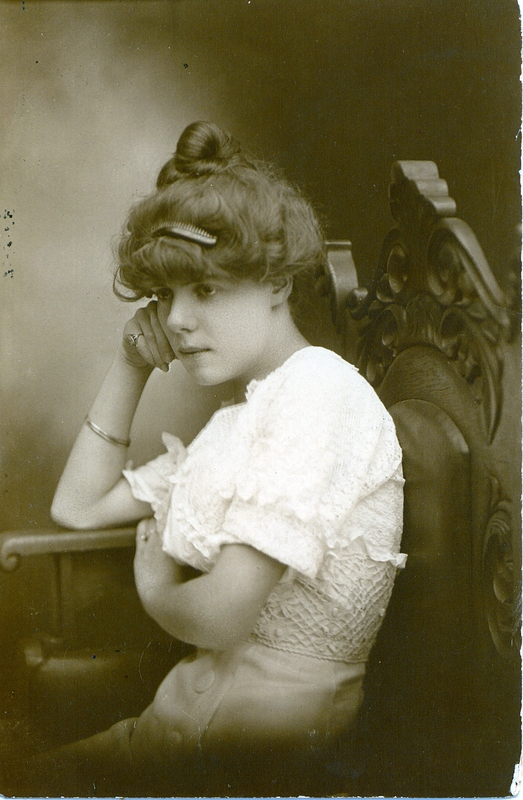 There was Minnie, daughter of Karl Gottleib Ley, who married her first cousin, Carl (son of her father’s brother Frederick) after he emigrated to America, and headed with that branch of the Leys to a successful and enterprising life out west. My third great grandfather’s daughter, Minnie Mae, married Edwin Frederick Weible (nephew to my great-great grandfather Franklin Eli Weible), foreshadowing a later marriage of my (unrelated!) grandparents Bob Ley and Sue Weible. Finally, my great-great grandfather Charles Henry Ley married Minnie Eillene Hammersley. They didn’t carry on the name Minnie (their sole daughter was named Irma Haines Ley, after the owner of the company Charles worked for), but they did come up with a name that had theretofore been original among the family tree. They named their third son Robert Earl, who was followed, in subsequent generations, by Robert Earl Jr. and Robert Earl III. (A name not continued directly in the latest generations, but honored in grandson (Robert Jr.) Robert Earl Leatherbury and great-grandsons Jonah Robert Foutz and Robert William Leatherbury.